The Black Wallaby – also known as Swamp Wallaby (Wallabia bicolor) was the predominant species recorded recently by remote camera on a property on the northern slopes of the Yea Spur. The site is just beyond the northern extent of the Black Saturday fires, and has extensive areas of Red Box (Eucalyptus polyanthemos) woodland. 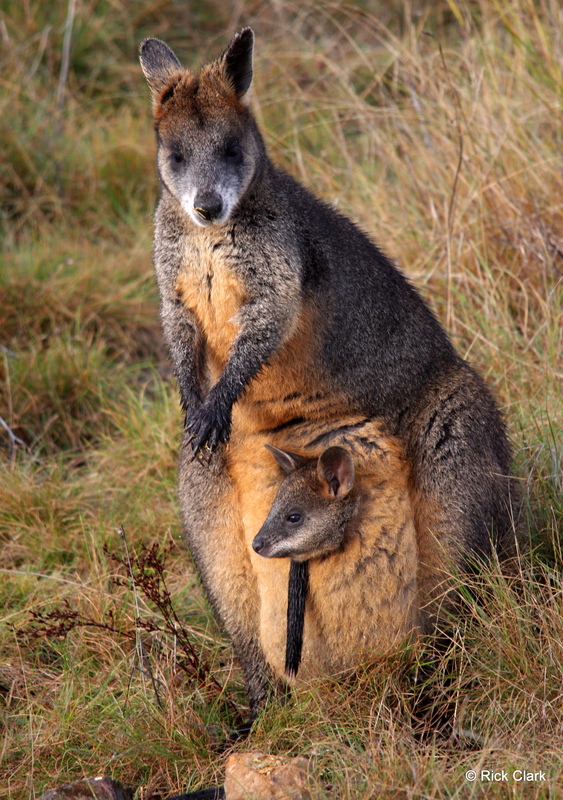 Several video clips of the wallabies are shown below – they may take a few moments to load. This wallaby’s antics make interesting viewing – can anybody offer an explanation for its behaviour? …. perhaps it was leading up to this sequence where the smell of peanut butter/golden syrup in our bait holder seems to be of only passing interest! Click HERE to see a previous post related to this site.